Just put these to bed for the evening. Should be a great reveille and rest of the day-enjoy the journey! Good luck...what time is dinner? Someone hit up Sam's for the 2 pack? Yeah I picked these up at Sams. 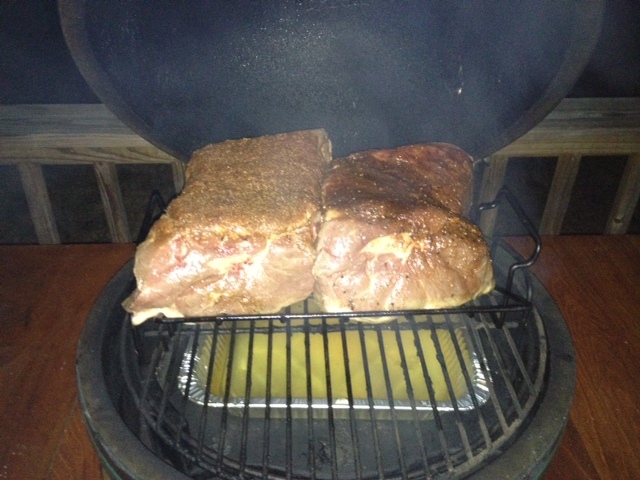 Cooking these for our yearly tradition of tailgating at the senior bowl. I grabbed a 2 pack last weekend and did one of them then.. Saving the other for later on. I've always wanted to make the Senior Bowl since I'm only an hour away.. Been listening to the Sirius NFL guys there this week. Have fun! The senior bowl is just an excuse to get together and eat.